What are you reading this Nativity? In the past, I have shared the books I frequently return to this season (here and here). This year, I’m also reading through The Diary of a Russian Priest (SVS Press, 1967), a gathering of reflections by Fr. Alexander Elchaninov. This is a perfect book for devotional reading because it consists of brief, poignant observations, often consisting of no more than a few lines at a time, that are both challenging yet easy to relate to. Fr. Elchaninov lived through the Russian Revolution and was ordained late in life, only to die from illness in 1934 at the age of 53. His reflections grapple with universal human struggles, with particular regard for the various existential tensions involved with living a life of faith in a modern world. Life is a precious and unique gift, and we squander it foolishly and carelessly, forgetful of its brevity. Either we look back with yearning on the past or else we live in the expectation of a future in which, it seems to us, life will really begin; whereas the present–that is, our life as it actually is–is wasted in these fruitless dreams and regrets. Because the direct experience of reality is difficult to control or categorize, the ind entices us into worries, fears, regrets, desires, ambitions, or fantasies–modes of engaging not the present, but our fabricated sense of past or future. Thus are our years “spent in thought like a spider” (Ps. 89/90:9), trappgedin the filaments of our own mind. We cringe at an embarrassing memory from childhood; we fantasize about a promotion we hope to attain; we becoem angry all over again at something our spouse said years ago. Although such ruminations may cause us pain, it is a pain the mind itself creates and is therefore preferable to the unpredictable vunlerability of the present moment. The mind prefers escaping to the past or present, as Archimandrite Meletios Weber puts it, because “these dimensions are both actually constructs of the mind’s own workings and thus the mind can control them” (Bread and Water, Wine and Oil, 19). 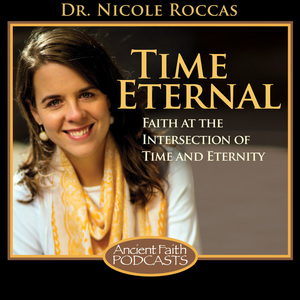 In forsaking the present, we cut ourselves off from Christ and from one another, since it is the only realm of time in which we can really encounter and engage with others. As lamentable a tendency as this is (or should be to us), the Church has given us more than a few tools to help “regain the present” (as the subtitle of my book is phrased). One of them is fasting. Perhaps more than other times of the year, fasting seasons offer us the opportunity to become more conscious and grateful inhabitants of the present moment, which is our gift from God. 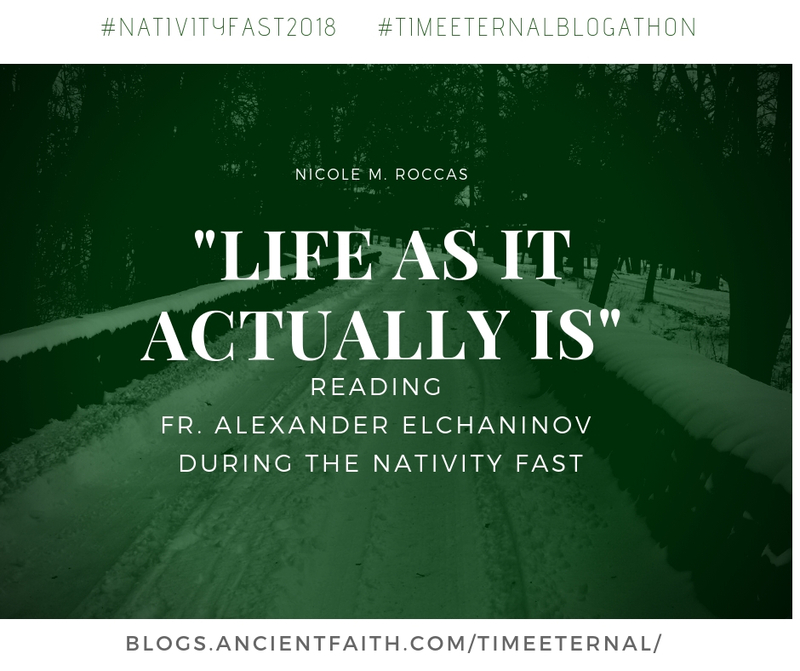 Whether it’s the sensation of hunger, the extra effort needed to navigate meal plans and Church services, or simply the inherent “specialness” of fasting seasons, we are invited back into the now of our existence, and thus back into communion with Christ. The present mode of our lives is not always pleasant. Even in fasting, we are forced to acknowledge our hunger and our desire for the “friends of the belly” (bacon!). The knowledge that the fast is only temporary is sometimes not enough comfort for our overactive imaginations and frustrations. Still, the Fast beckons us to stay–remain in this moment, with ourselves and our hunger, with our neighbor, with Christ. This is a microcosm, I think, of the human condition and the transfigured way of being in this world Christ has shown us. As the fast lingers on, may we seek to inhabit our lives as they actually are–in faith, love, and reverence for all God has given us.